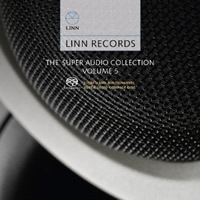 The decision by Linn records to cease issuing their new releases on SACD has been a cause of great dismay for many collectors because, over many years, the label has produced countless award-winning recordings, both stereo and multi-channel, in that format. 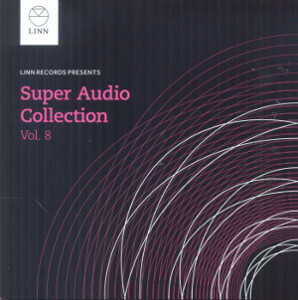 It is, however, now possible to obtain all these recordings in high resolution sound via downloads in different qualities and file types. Details of these are available on the Linn website and I would recommend newcomers to downloads visit http://www.linnrecords.com/linn-downloads-beginners-guide.aspx . The &apos;Super Audio Collection Volume 10&apos; is the latest in a series of samplers designed to showcase recent Linn releases, and for listeners (the majority?) still wedded to the physical media this hybrid multi-channel SACD does provide the opportunity to audition in hi-res some releases that are only available on CD or as downloads. 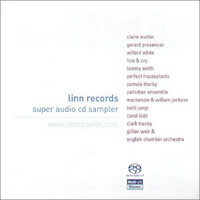 All but one of the well-chosen samples here are taken from the Linn Classical catalogue and cover a commendably wide variety of musical genres and periods ranging from Trevor Pinnock&apos;s fine recording of Sweelinck&apos;s Variations on &apos;Mein junges Leben hat ein End&apos; to the spirited Aldeburgh Strings account of Britten&apos;s &apos;Young Apollo&apos; – both of which are given complete. The whole disc is also a tribute to the splendid work of Linn engineer and producer Philip Hobbs whose efforts in a variety of recording venues and different acoustic signatures is exemplary and may well tempt those who have yet to take the plunge with downloads to give them a try. I have just wondered: what happens when I&apos;m listening to 5.1 SACD through 9.1 or 11.1 surround sound systems? Are the additional channels muted or is there some way to expand the soundfield (like Dolby Pro Logic IIz or DTS:X)? In order to find perfect balance a demo/sample disc is incomparable way to give a test to new speaker configurations. I&apos;ve considered to add more speakers to my system and I need some advices. Depends if you use a programme such as Dolby Surround to fill out those additional channels. You can but they do it by using a lot of reverb. While you can try to control this, to my mind the best way is to keep to how it was recorded as that is how it was intended to be heard. I queried Linn about this when I spotted this sampler; I was told they are looking to issue MCH downloads in future [no firm date though]. Who loses most as a result of Linn&apos;s decision to discontinue SACD? At the moment I remain firmly of the opinion that they do. I have yet to hear a computer based music system even in a very high end set-up designed to impress that comes anywhere near the SQ to be had from SACD on similar high level equipment. Having amassed well over 1200 superb SACD discs collected painstakingly over the last 15 years covering more or less the entirety of the classical repertoire and only recently having invested in the new Marantz reference SACD player, it is fair to say that downloading will not be playing much of a part of my listening requirements for quite some time yet. 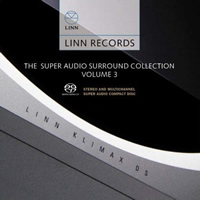 Historically the people at Linn have been possessed of a certain type of hi-fi arrogance (IMO) that will have encouraged them to make such a decision but thankfully they are not always right and other labels will no doubt relish filling in any gaps that Linn&apos;s absence may have created. These samplers are an insult to audiophile collectors. I hope this release is ignored by music lovers given the recent stupid policy decision by Linn. Yeah, but they&apos;re issuing lp&apos;s again, which, considering the company&apos;s origins, probably makes sense to them and long time Linn customers who can now dust off their Sondeks. It makes no sense to me though, and probably not to any of us here. I stopped on the Linn website before writing this comment and saw at least six discs I would buy if they were sacds, but neither lp&apos;s, rbcd&apos;s, or downloads have any place in my listening future (rare repertoire and favorite artists excepted on occasion, in which case rbcd will have to do). Personally I don&apos;t understand this LP enthusiasm; compared to the CD sound is far more inferior (of course this depends on your listening equipment and/or quality of a disc) and possibilities for nice archiving less effortless. Speaking about SACD it is useless to even try to advocate the positive sides of LP; no ways to compare these two formats - they represent two different generations! However, I have listened to few classical LPs and this all kind of whimper, hum and hiss were really distracting. Afterwards I have understood why the arrival of CD felt so revolutionary in the early 1980s. But now: why to concentrate on this although there is a way to achieve and offer audio that will supersede all other attempts? Is it nostalgic to hear those distracting noises beside the main sound? (A little clarification - this applies to old analogue recordings (and few early digital recordings as well) when the recording technology was not advanced enough to enhance the sound). Sometimes the choices behind the releases have been really bewildering as I have said earlier. What is this nonsense? It looks like they are really believing "if we change the look of these albums a bit consumers are willing to pay slightly more expensive price of them". Now they are releasing Berglund&apos;s Helsinki Sibelius cycle as a box set - firstly on LP, then on CD as an individual albums, then on CD again as a decentralized three-disc collection in the Gemini Series and now as a box set. Karajan recorded almost everything in quad for Warner during the heydays of the technology but the recordings are still waiting for this glory in their boxes. Strauss&apos;s "Don Quixote" with Mstislav Rostropovich (1976) is a good example of this. Warner indeed released the recording on quadraphonic LP at the time but how many of us has possibility to listen to the album as such? Albeit Warner Music Japan has re-released the album on SACD Strauss: Don Quixote - Rostropovich, Karajan it is in stereo only. Of course it is a matter of financial profit and sale when it comes to choice an album format between CD and SACD. These things have become foregone conclusions during all these years when SACD has been an alternative option for hifi buffs. I&apos;m not going to repeat these facts as we all know them so-so. But the reasons behind Linn&apos;s current recording and releasing policy must have been in contact with the mentioned things. 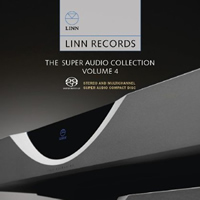 Linn&apos;s decision to discontinue SACD releases is likely due to business factors not in its control: a backlog at the few remaining SACD production facilities; the collapse of classical music physical stock distribution; closure of brick and mortar record stores; the rising number of of streaming music service subscribers. New reissue LPs of classical music are pressed rather than SACDs because audiophile LP collectors have invested thousands of dollars, pounds, euros and yen in their analogue rigs. They enjoy listening to analogue-era recordings on analogue playback systems. The best new LP pressings of 1950s-1970s classical and jazz recordings are free of pops, crackles or distortion. Such pressings sell out rapidly, unlike many SACD releases. To John (hiredfox): If you have an opportunity to audition stereo DSF files of a Channel Classics release through the asynchronous USB input of your Marantz SACD player, and compare the sound to the same recording on SACD in the disc player, you might find that the two sources are nearly indistinguishable. I have just done this test on my Marantz SA8005, comparing a recent classical music SACD to the underlying DSF file. There are inexpensive computer solutions that effectively serve DSF (or other hi-res format) files to a standalone DAC or to the DAC in an SACD player. Enjoying SACDs is not incompatible with enjoying hi-res downloads. 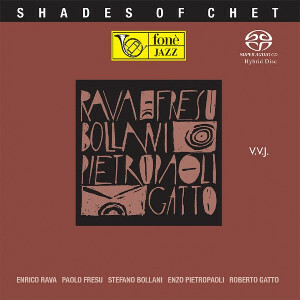 Many new classical, jazz and contemporary music recordings are only being released in high resolution as downloads. Purchasing hi-res downloads supports the artist, the label and the hi-res vendor. Playing hi-res files through the USB DAC of an SACD player or through a separate DAC provides the closest comparable listening experience to SACD. Well no Mark, new pressings are not free of clicks and pops. I ordered a set of classic Phase 4 recordings,all brand new,and 2 of the 4 were unplayable. Vinyl lovers, for me, are those trying to relive their teenage years. Nostalgia !. John Hunter: Your disappointing experience with new reissue LPs points to a lack of diligence by the company. Shame on Decca for not doing better quality control on the pressing plant that produced the Phase 4 LP reissues. You can send back the LP set for a refund, but the label has lost another customer&apos;s trust. It&apos;s frustrating for us as SACD collectors, but from the perspective of the labels, downloading is the most cost-effective distribution platform. Linn and Channel remain committed to recording and distributing music in high resolution audio. It&apos;s not as if they had abandoned the SACD format only to sell music as MP3s. 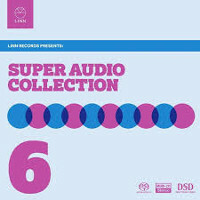 Purchasing new releases as hi-res downloads directly from the label, just as purchasing new releases on SACD, helps support the hi-res recording endeavour. As those of us who came to collecting during the LP era know well quality control was never very good, and even if the disc came out of the sleeve in absolutely pristine condition it would not remain so for more than a few playings. And the notion that the LP with its inevitable clicks and pops sounds better than a well engineered sacd is simply risible, even for stereo only listeners. At my local book store (there are no more record stores) you can buy any of several hundred LPs in various pop genres, AND an inexpensive turntable that also allows you to rip the disc to your MP3 player. Now that&apos;s obviously all about sound quality, right? And from my personal standpoint, growing older and more curmudgeonly every day, I really don&apos;t care about the abstract notion of high resolution recording. If it&apos;s not going to result in a shiny little disc that plays in my Oppo the engineers might as well have used a wax cylinder for all I care. I say that with full understanding of the theory that downloading revenue may help to prop up sacd production. Except if the evidence is followed it really doesn&apos;t seem to work that way. With the exception of BIS, what labels are making all their product available in both hi-res physical and downloadable forms? From Channel you can download but now only get the occasional sacd by Ivan Fischer or Rachel Podger. From Chandos you can download most stuff but sacd has only ever been the smaller part of their physical production. 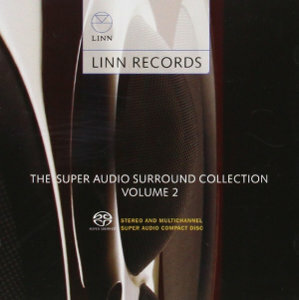 As has been mentioned numerous times already Linn have gone out of the sacd business completely. 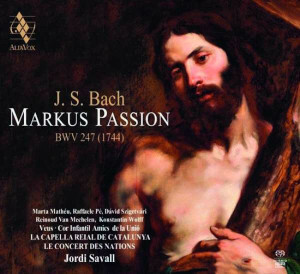 Pentatone, so far as I know, remains dedicated to sacd only (bless them!). I know that&apos;s not a complete survey, but those five labels comprise more than half of my 1100 disc collection. And that&apos;s not even getting into the business of digital concert halls, etc. From where I sit it seems more likely that wireless delivery in whatever form is certain to be the eventual death knell of the sacd as labels and other sources are able to retain audiophile credibility without the pesky and expensive business of producing physical discs. Hopefully I won&apos;t be around long enough to see it. "Well no Mark, new pressings are not free of clicks and pops. I ordered a set of classic Phase 4 recordings,all brand new,and 2 of the 4 were unplayable". My experience exactly John so of course you might as well source your vinyl needs from Oxfam&apos;s bins where you can find almost unplayed originals for £1.99 in excellent condition and save yourself £30. I found a set of the 1976/77 von Karajan Beethoven symphonies for £4.99 in mint condition and almost blemish free but then again DG always had QC right at the top of their priorities. Great discovery as my original set was showing it&apos;s age and history of abuse. The important thing to remember Bill is that your SACD discs will probably outlast us all so just make sure you have a back-up high quality disc player on the shelf for the time when your current Oppo gives up its ghost. I&apos;m glad you have become a curmudgeon, we certainly need a few more in the audio world and the fees are not high. Thanks for the encouragement, John. There are presently two Oppos in the house, so I think I&apos;m okay, at least for a while. A major contributor to my current grouchiness is that for health reasons we&apos;ll soon be moving to a "retirement community", which means I&apos;ll lose my purpose built dedicated listening room. %*&#@$^ (don&apos;t know if that translates in British English, but if not just assume a string of four letter words). But hey, four years ago the Doctors told me I&apos;d be dead within two years, so it&apos;s all good! I am very sorry to see that you will lose your listening room. As regarding discs vs downloads, it is possible to improve on SACD quality by providing higher sampling rates (2X or 3X DSD) putting the noise much "farther into the stratosphere". I haven&apos;t heard it yet but Tom Caulfield told me the improvement in sound quality is remarkable. I have a little over 1100 SACDs and almost that many CDs plus some 2500 LPs. I am looking forward to buying my new recordings as "downloads" from Channel. It will solve a monumental storage prooblem! Channel only does DSD and they backup your purchase so that if you lose a file they will replace it with no extra charge. Oh Bill, I am really sorry to hear of your situation. It is not hard to imagine how wretchedly you must feel about things right now. Your cryptic words translate perfectly into our form of modern English. May I wish you every good fortune in your new situation and look forward to many more years sharing our passion together. ... and the Music plays on. Tom of course never showed up on here more&apos;s the pity. At one time he denied that higher sample rate DSD could lead to improved SQ so it is good to hear that he has revised his opinion. There are a few discs now in the market place recorded at 2 x and 4 x and improvements in SQ are clearly audible in my stereo set-up as reported on various threads discussing recent releases from Reference Recordings and LSO Live - Sound Mirror & Classic Sounds seem to be pioneering. I guess Channel must be as well but as we no longer receive the benefits of their labours in disc form there is no way of knowing how successful that have been. Thanks, gentlemen, I appreciate the kind words. Are you intimating that LSO Live discs from the acoustic 9th Circle of Hell are now not only listenable, but, perish the thought, even enjoyable?